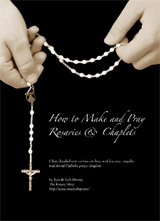 The Rosary Shop -- Custom rosaries, kits, parts and kneelers. Website Updates: The website is gradually being updated so as to be more compatible with mobile devices. Please let us know if you see any problems or have suggestions as we make this transition. 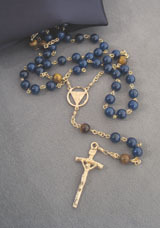 Most custom rosary orders are presently shipping in 6-8 weeks. A rush order option is available. Most order for on-hand parts and rosary kits are presently shipping in 1-3 days. We have some great options for adults, youth and kids groups. Cord rosaries with wood beads are usually best for groups due to the ease and speed of assembly; they are also among the strongest rosaries available. See our recommended rosary kits page for common options, or you can even design your own kit (and get a large discount for orders of 10 or more). 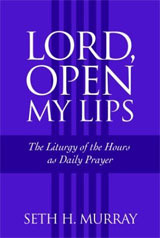 The Liturgy of the Hours is a treasured prayer of the Catholic Church. We have written a comprehensive tutorial that can help you learn to pray it. We also carry the prayer books, themselves.